Crispy golden tortillas with the most delicious filling inside. A filling of teriyaki flavoured pulled chicken coated in melted gooey cheese. Who could say no to that!? This is possibly one of the tastiest chicken dishes I have ever made. I guess anything flavoured teriyaki style is going to taste incredible, but it was nice to incorporate this into one of my favourite things to make, a quesadilla! Well, there’s there are 2 simple reasons. One, like it more. And 2, pulled meat makes for more of a suitable filling. The texture and it’s ability to hold together makes it much better than say, cutting the chicken up into pieces. Of course, if you wanted to do that, go for it. It will still be awesome, but for me, there is something about shredding the meat that makes it so much more satisfying to eat. What does moisture do to bread? That’s right, it makes it go soggy. You’ll notice that in the recipe, I dried out my meat using kitchen paper and I only used ½ a tablespoon of oil which isn’t much for the amount of meat I had. And I’ve made the mistake of having too much oil or fat i incorporated in the filling. When it came to toasting the quesadillas, the oil just oozed out and the sides of the bread just went soggy and oily. You don’t need a lot of oil or moisture to stop the chicken from going dry because the cheese and the teriyaki marinade will take care of that. As long as you keep this in mind, you can make whatever filling you like. And have a think about the ingredients you are adding when making your own filling. For example. If you wanted to add spinach, remember that spinach is mostly made up of water, and that water comes out as soon as it heats up. So perhaps it would be a good idea to wilt the spinach, get rid of the water content, then add it to your filling. Why is the cheese important you ask? Well, apart from making the quesadilla extra tasty, it acts as the glue. There is no way that the filling and the tortilla can hold together if you don’t add the cheese. In fact, the filling is likely to just fall out. The key is to add a cheese that melts, goes nice and gooey and sticks. I just used good old regular cheddar cheese, which worked out great. If you want a lighter flavoured cheese, then something like mozzarella would be great. It’s a spiced black bean quesadilla and I made because I wanted to see if quesadillas are OK to freeze. As it turns out, they totally are. And the best way to heat them up is to use your oven. And again, just like you read earlier, moisture will make the tortilla soggy. So the oven does a really good job of heating the tortilla up but drying out the moisture too. The microwave however, may just leave you with a sad, floppy quesadilla. So I stacked my quesadillas on top of each other, stored them in a container then put them in the freezer. The day I decided to take the quesadillas out and re-heat them for lunch, the stacked quesadillas were like an icy brick. So I pre-heated my oven to about 150-160 degrees Celsius, put the quesadilla brick on a tray and then heated it up. After 10 minutes the quesadillas were thawed out enough to separate, then they just needed another 15 minutes to heat up all the way through. 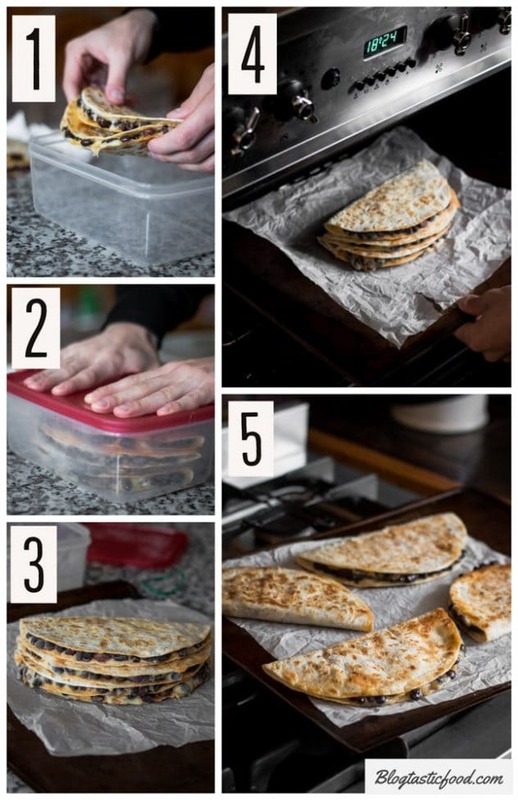 I am hoping that these tips and tricks don’t just teach you how to make teriykai pulled chicken quesadillas, but also how to make your own quesadilla recipe. As long as you have the cheese to glue the filling in, you can add whatever the heck you want. So keep that in mind. 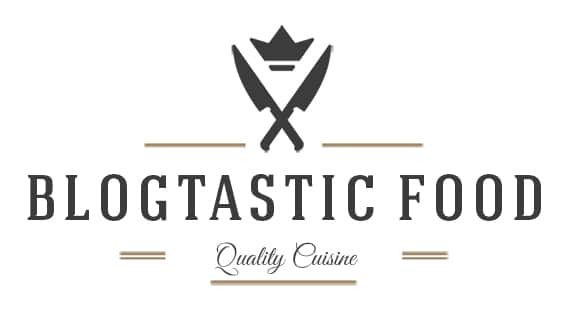 Feel free to subscribe if you want weekly updates for new recipes. And if you enjoyed the chicken quesadilla, then you may also like this Chicken & Leek Pie! Peace and blessings, love you all! 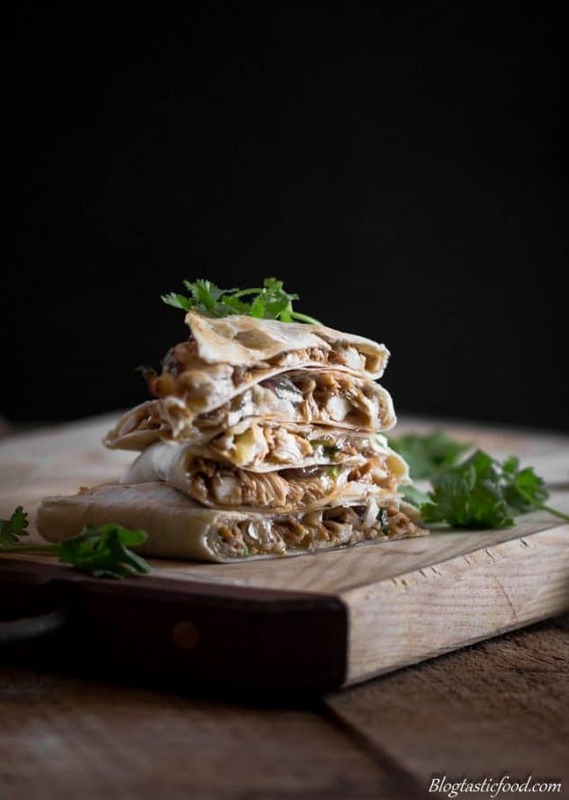 Golden toasted tortillas filled with gooey melted cheese and pulled chicken that is coated in teriyaki marinade. Put your stock in a pot, then bring to a boil over high heat. Add the chicken breasts and bring the stock back to a boil. Once boiling, turn the heat down low and simmer the chicken breasts for 17-18 minutes until cooked through. Use a pair of tongs to transfer the chicken to a chopping board, then shred the meat with 2 forks. Put the shredded meat on some kitchen paper to dry it out a bit. Pre-heat a large pot or frying pan over medium heat. 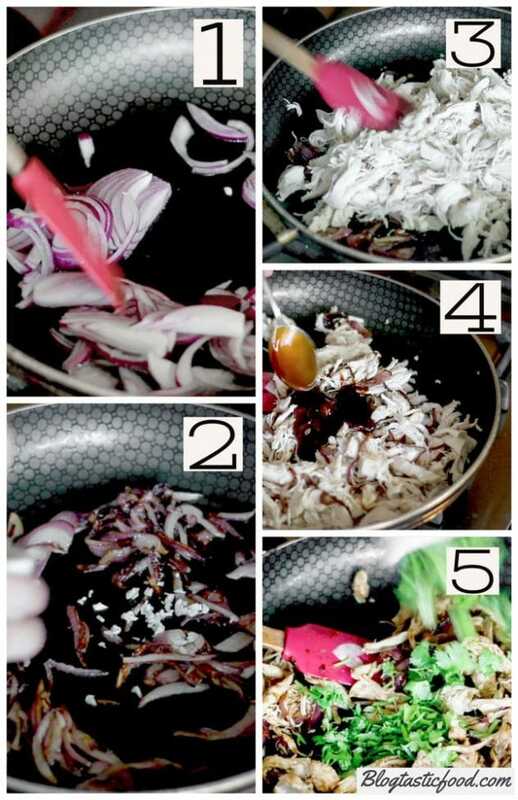 Add your vegetable oil, then add your red onions. Fry the onions for about 10 minutes stirring occasionally until they go nice and brown. from there, add your garlic and fry for another minute. Then, add your chicken and teriyaki marinade and stir through until the chicken is well coated. Turn the heat off, then add your coriander. Get a preferably non-stick frying pan over low-medium heat. Place a tortilla flat in the pan. Put a layer grated cheddar cheese on one half of the tortilla, then put some of your pulled teriyaki chicken on top the cheese. Finish with another layer of cheese, then fold the other half of the tortilla over the top. Turn the heat up to medium, then toast the quesadilla on both sides until the bread is golden and the cheese has melted. Make sure your filling isn't too soggy or wet, this can make the tortillas go oily/soggy when you try to toast them. Remember, a quesadilla won't work without the cheese. The cheese is the glue to bind the tortilla and the filling together. Use a cheese that melts easily. If you don't want to use cheddar, you can use mozzarella, provolone and/or fontina cheese. If you freeze the quesadillas, put them in the oven to heat them back up. The hot air from an oven will dry out the moisture and won't make your quesadillas soggy. Looks great! 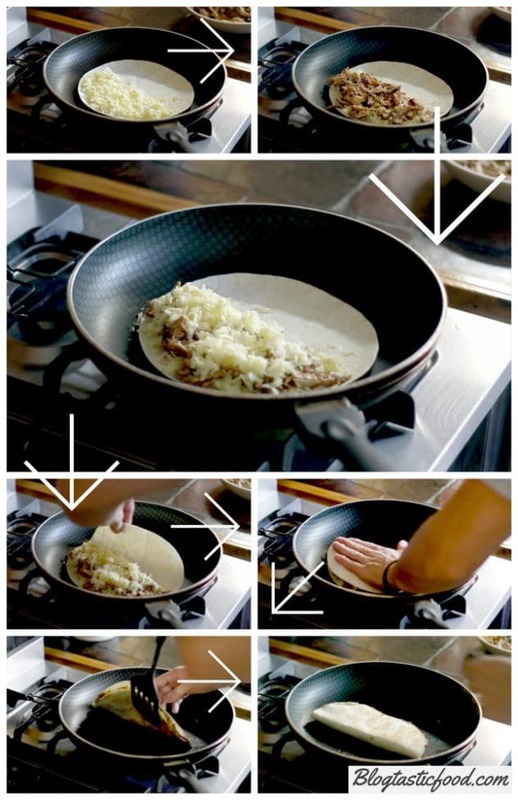 😊 Folding the quesadilla in half sounds much easier, I’ll have to try that next time I make one! Any time I’ve boiled chicken, I find it gets dry and loses a lot of its flavor. Boiling it in stock helps with the flavor, but how do you keep it from drying out? Or are the other things you are throwing into the final recipe enough to counter the dryness? YES to this delicious FUN food. We enjoy Mexican food. This is perfect for fun and easy entertaining on the weekend. The guests would love this for sure. Ah..now there is a twist I love. 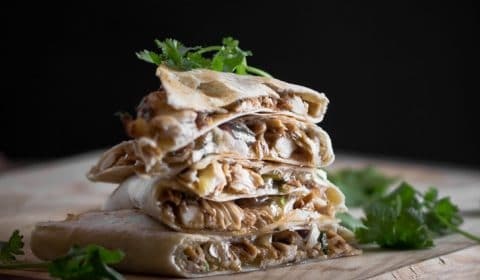 We love teriyaki chicken and we love quesadillas so this would be a welcome addition for our weekday dinner. Looks so good. Hmm – fusing the teriyaki flavors with the Mexican dish … I’m going to try this! Thanks for the tips on freezing quesadillas, I’d wondered myself, but never tested that. And I vote for shredded meat in quesadillas, too! Yes this looks like the best kind fun food with kids. All the amazing flavors from marinade sounds perfect! Hi, Nick!! I agree with the shredding of the chicken — it happens to stay in the tortilla a lot better. And it certainly is clever of you to fold the tortilla so that you have a solid edge. Very smart!! I haven’t had lunch yet and my tummy is growling as I’m reading all about the teriyaki chicken quesadillas. I’d love one right now!! Teriyaki chicken quesadillas looks delicious, I like it because it can be freeze for future use too. As my weekdays get busy. Love the idea of shredding chicken to keep the perfectly in the quesadillas. You had me at teriyaki!!!!! Oooohhh and that CHEESE, a good quesadilla has a ton of gooey cheese!! Looks delish! What a great idea to use leftovers chicken. Looks absolutely delicious. Quesadillas are great for lunch so I’m putting this on my to make list. 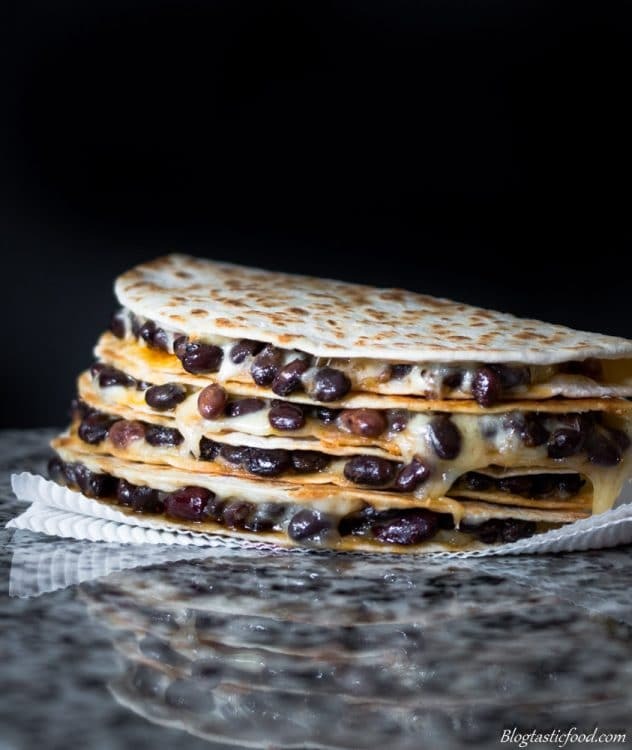 Oh my, these quesadillas look and sound simply amazing! Perfect for parties! 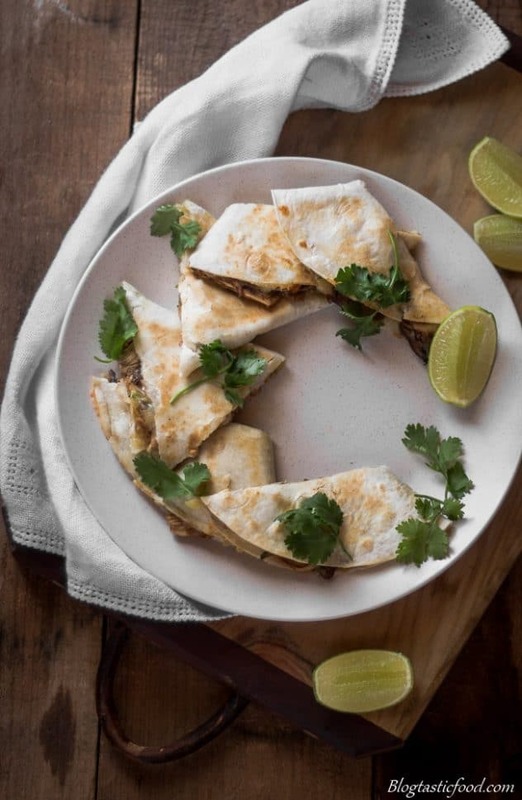 I think quesadillas are my favorite food, and these sound so full of flavor! So straight forward and so tasty! Great pics too! Love that you used chicken for a lighter option. This looks delicious! Yum! Going to make these soon for a special treat with dinner. Thanks for the healthy recipe! The chicken was great but you can add whatever you like.